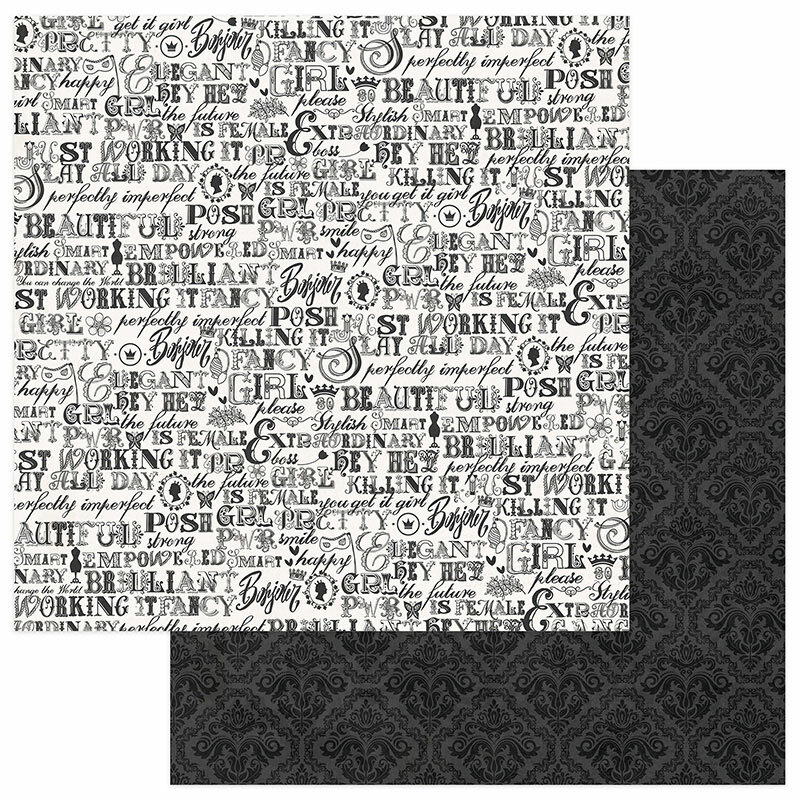 This 12x12 double sided paper is filled with Expressive Words in Black & White on the front side of the paper. The reverse side has a Damask Pattern on a Black Tone-on-Tone .Look for coordinating Ephemera Die-Cuts, Stamps, Decorative Dies, Element Stickers and Designer Papers. Part of the Vintage Girl Collection by PhotoPlay Paper.